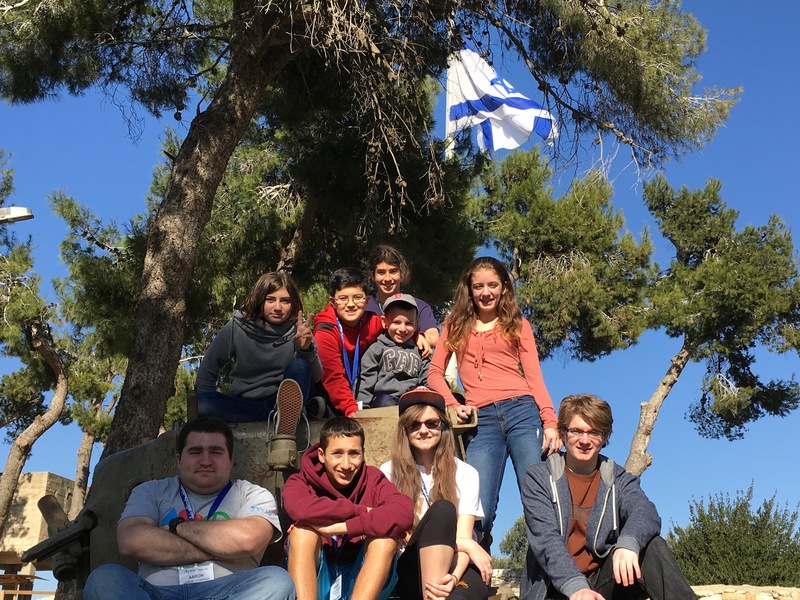 This past Friday morning we returned from OJC’s 2015 Israel Experience, having had a wonderful time soaking up the beauty and vibrancy of the land of Israel. We enjoyed sharing our experiences with you daily on Facebook. The true authors of this guest blog entry, however, are thec hildren on our trip. These nine children, ages 6 to 21, inspired us throughout each moment of this trip. 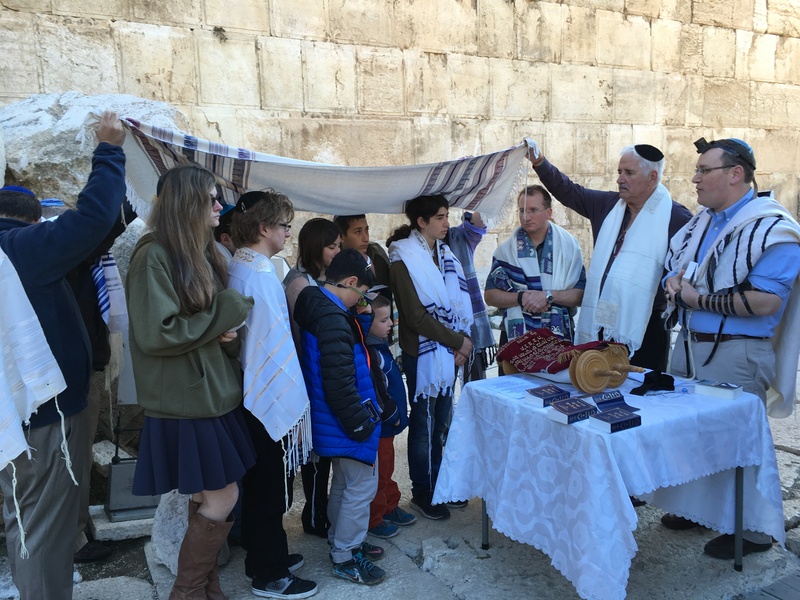 Rayna: Having an experience of visiting Israel is not something that everyone is able to do so, I would like to first say how fortunate I am to be on this amazing trip. An exciting ten hour plane ride across the world to the Asian continent was a pretty interesting experience on its own. This ride was especially exciting because I got to sit next to my OJC friends Victoria and Jeremy! After getting almost no sleep at all on the flight we landed and quickly headed straight to our first activities: sheep herding (not as easy as it sounds) and tree planting. Samuel: When you think of Israel you think of Masada, the Dead Sea, Jerusalem etc. But, in Israel there are lots of interesting things that will blow your mind. 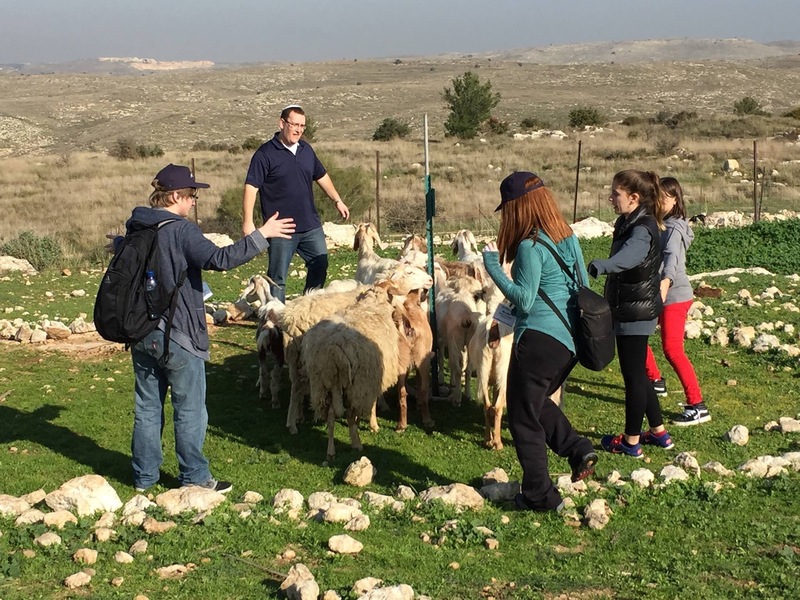 Israel was the home of the ancient Jewish people, so as soon as we landed on Thursday we headed over to a place near the Ben Gurion airport called Neot Kedumim, a nature reserve representing the Biblical times. There, we planted trees because 60% of Israel is desert. At the same site we became shepherds! We played a game where one team had to herd all of the sheep into a stone circle in a certain amount of time. Some of the sheep were quite rebellious! It was a lot of fun. After that, we headed to Machane Yehuda, the “shuk.” There we walked around and saw all the different kinds of stores and street stalls. Finally, we staggered back to the hotel and collapsed. Jeremy: At the Machane Yehuda outdoor market, we sampled all different kinds of foods, drinks, and even some spices. Some examples of refreshments that we had were smoothies (etrog flavored! ), coffee, halva (compressed sesame seeds with sugar), olives, and pita bread stuffed with Georgian cheese! We’re talking about the Asian country Georgia, not Georgia in the United States. Even before Machane Yehuda, we made our way over to a spot (Tayellet) where we had a post card worthy photograph view of the city of Jerusalem. We could, see everything. We also said prayers there for wine, Challah and Shecheyanu. The next day was in the Old City of Jerusalem, where we had a wonderful day under the Temple mount in the tunnels. We learned all about the design and structure of the stones of the Kotel. We learned about how King Herod designed his own style of stone now called “Herodian Masonry.” It was really hot down in the tunnels, but it was fun and educational! Rayna: After two exhausting and full days, I don’t know what the rabbis and our tour guide Julie were trying to do to us children, but starting at sundown on Friday we had to walk everywhere because it was Shabbat! I actually enjoyed Shabbat because, like I told my father, it felt like a holiday that happens every weekend! On Friday night we prayed together at the Western Wall – it was really nice. We went to synagogue on Shabbat morning and even though they spoke Hebrew it was a great thing observe! Jeremy: Saturday was very different from Shabbat at home. Here in Israel, I got the experience of walking to a synagogue with the group, including the rabbis. The synagogue was Orthodox style, with the men and women separated by a curtain down the middle of the sanctuary. They did open up the curtain for the Divrei Torah though. They were in Hebrew and I therefore did not understand what they were about. I found Shabbat to be a nice experience. For one thing, it was a day in Israel that wasn’t jam-packed with tourist activities and sights. I would totally do it again if the opportunity permitted itself. Grace: My favorite part of the trip thus far was today and our trip to Masada. After about fifty minutes of hotheadedly hiking up the Snake Path and yelling at the more fortunate cable car riders, we arrived at the top. The magnificent view took our breath away once more. As Jeremy mentioned, King Herod built part of the Kotel, but he also created the palace on Masada. After his death, it was used for a Roman army base. When the Sicarii, or Dagger Men, of the Jewish rebels infiltrated the base, they used the palace as a safe hiding space for three years, until the Roman soldiers finally made it to the top. The Romans surrounded the Sicarii. In the depths of their desperation, they decided that they would rather kill themselves than surrender to the Romans and be killed, mutilated, or sold as slaves. It is told that no one survived. We learned that what actually happened up on Masada many years ago is a little unclear. All I know is that the view there is beautiful and I liked hearing the various stories, however horrific they may have been. 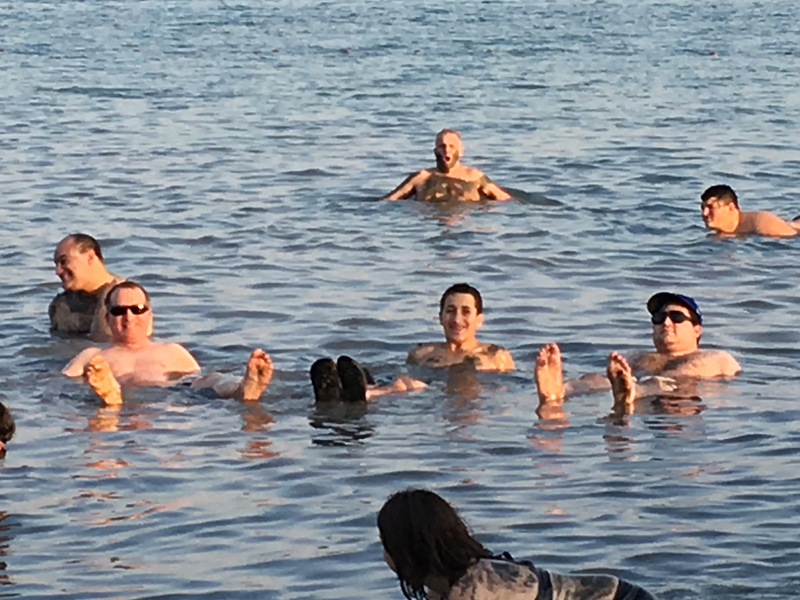 Our next stop was the Dead Sea. This sea is so salty that it is impossible to have any life there. This is why they call it the Dead Sea. The salt also causes anything to be extremely buoyant, so you can literally float on the water. It’s a phenomenon that is so difficult to explain, but so amazing to experience. When we arrived at the shore we saw people walking around with the infamous mud spread over their bodies. The salt in the water magically made it completely buoyant! It was amazing. 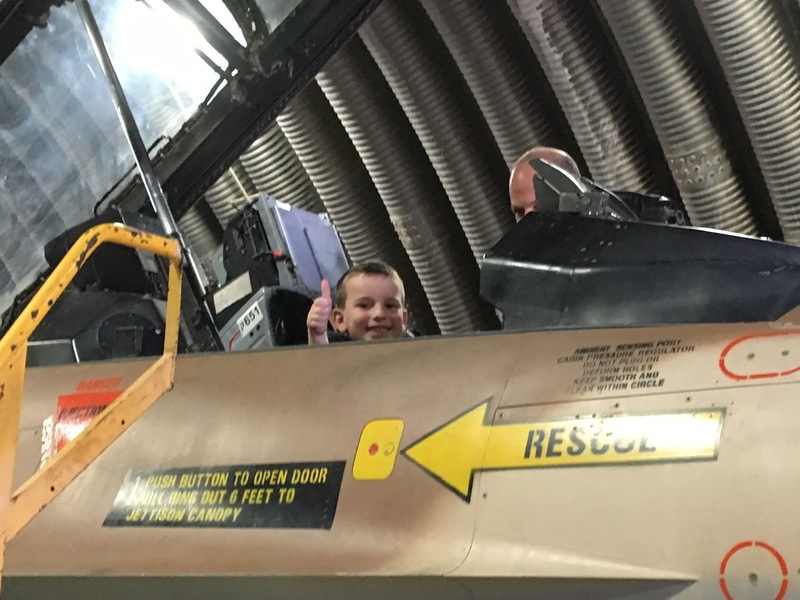 At first, I was nervous about experiencing something so odd to me. I didn’t understand how salt could make water turn into something so easy to float in. Once we finally were able to lay back in the water and experience the impossible, there would be no turning back from the fun. We laughed with our friends, attempted to get into the weirdest positions while still floating, and just relaxed in the cool sea. My experience in Israel so far has been an amazing experience, a phenomenal one. I have loved it with every bit of my heart, and I hope, sincerely, that I will come back soon. Milo: This winter break, I was lucky enough to get to travel to Israel. Today we packed up our suitcases to head up north. On the way out of Jerusalem we stopped a few times. Our first stop was Yad Vashem. While we didn’t go inside the museum itself, we saw some of the monuments outside of it. The first thing we saw were the trees planted in honor of the non-Jews (righteous gentiles) who worked hard trying to save Jews. There were trees lining the stone path for a few hundred feet, and each tree had a plaque with the name of the honored person. The path that the trees bordered led toward two statues. The first statue was an engraving of a group of Jews being taken to a death camp. They looked frightened and broken. Their heads were bent, and in the background you could see Nazi soldiers’ with bayonets and helmets herding the Jews forward. The second statue was an engraving of Jews who looked strong and prepared to fight. These words and images are just a sample of what we were blessed to hear and see throughout our time in Israel. 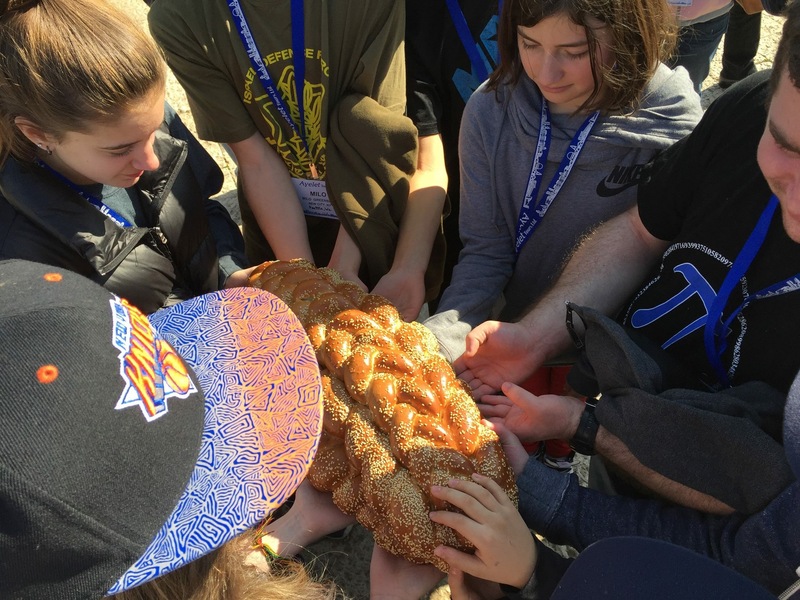 Most meaningful of all was the desire expressed by each child on the trip: to return again soon; to continue exploring Israel, her history, and her connections to our Jewish identities; to be a part of supporting Israel as she strides into the future with hope.